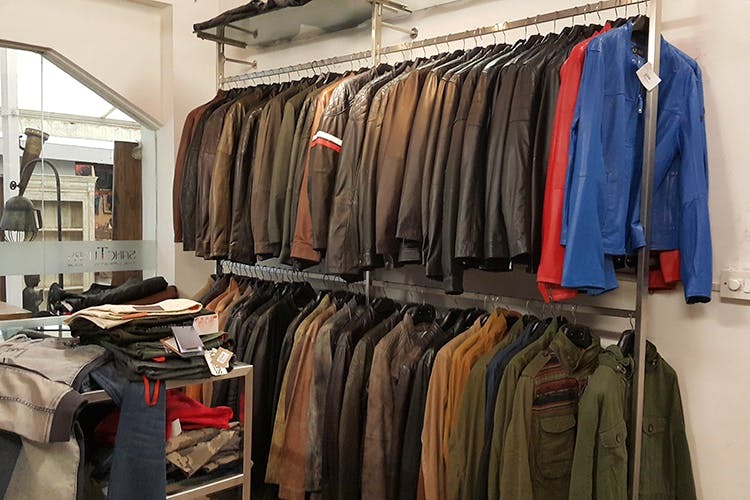 If you are looking to score from high-street brands at very reasonable prices, then head to Sanctuary in Shivaji Nagar. It’s like a more relaxed version of street shopping where you can find clothing, accessories, home decor and even furniture! You are in for a treat when we tell you to head to Sanctuary in Shivaji Nagar. It's located next to Safina Plaza and they mostly sell factory reject clothing for men, women, and kids along with a range of quirky home decor, knick-knacks, and a small selection of body care products and even antique furniture. The store's pretty large and well segmented, making it easy for you to browse around. The clothing section for women include brands such as Abercrombie & Fitch, Jennyfer, Old Navy, and Pull & Bear and prices for these start as low as INR 600. Cute tops, jeans, and street smart casual are what's on offer. If you are lucky, you might find jackets and tops from Armani Exchange, FCUK, and Massimo Dutti too. Men's section is largely made up of brands such as Ralph Lauren and Armani, with a range of snazzy accessories and footwear. Aside from clothing, you will love Sanctuary’s selection of home decor — from small steel sculptures to printed pillowcases, it’s a kitsch lover’s heaven! They even have some cute stools covered with comic strips and framed old Hollywood and Bollywood posters you can’t miss out on. As far as we could tell, the high street brands seemed authentic, but we’re not so sure about the luxury brands. Moreover, since the collection dependent on what they source, you might not always find the brands that you might be looking for. Also, in the courtyard, they keep some lovely antique furniture pieces — sure, they’re a bit pricey and we don’t know if they really are vintage, but if you’re looking for a charming bedroom side table or even a statement cabinet piece for your living room these are really pretty.